Tipard Sony Ericsson Video Converter is a Sony Ericsson video converting software to convert general video like MPEG, MP4, H.264, AVI, MOV, DivX, etc. to Sony Ericsson. Plus, this Video Converter for Sony Ericsson gives you a way to navigate your music, since it owns the function to convert audio and take out audio from videos to MP3, M4A, WAV, WMA audio. It also owns the additional edit functions, such as video trimming, video cropping, video merging, video watermarking… Plus, with newly adopted NVIDIA® CUDA™ technology and multi-core CPUs supporting technology, the converting speed is 6X faster now. 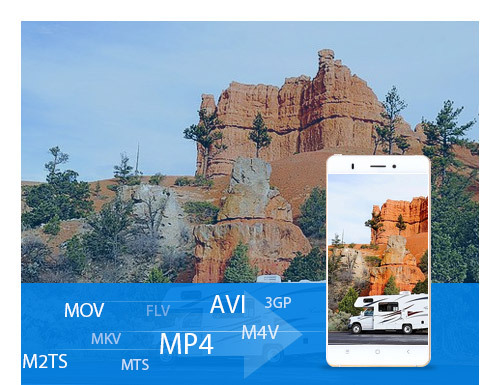 Sony Ericsson Video Converter enables you to convert MPG, MPEG, MPEG2, SWF, FLV, VOB, MOD, MP4, H.264, M4V, AVI, WMV, 3GP, 3GPP, MOV, DivX, XviD, QuickTime Video, DV, MJPG, MJPEG, MPV, and HD video to Sony Ericsson video format. Extract audio from videos and convert audio to MP3, M4A, WAV, WMA for your ease music enjoyment. Tipard Sony Ericsson Video Converter allows you to set the video Brightness, Contrast, and Saturation. And the “Deinterlacing” function can help you convert interlaced video to the progressive video. 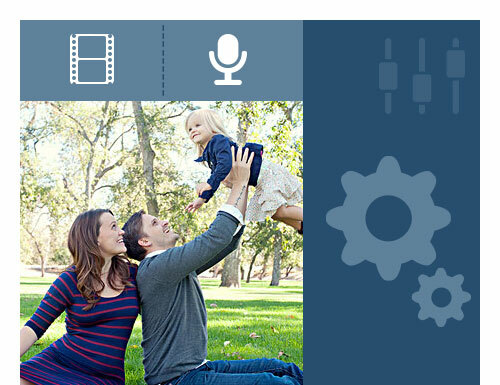 Trim any segment of a video and crop the video frame aspect ratio and playing area. 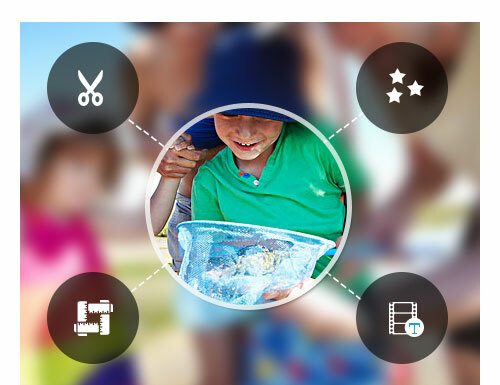 You can join several video pieces together and output it to a whole one. This Sony Ericsson Video Converter enables you to convert one file to different formats with only one conversion. Tipard Sony Ericsson Video Converter is compatible with Sony Ericsson, Sony Walkman, Sony PSP, PS3, Sony XPERIA, even Mobile Phone. 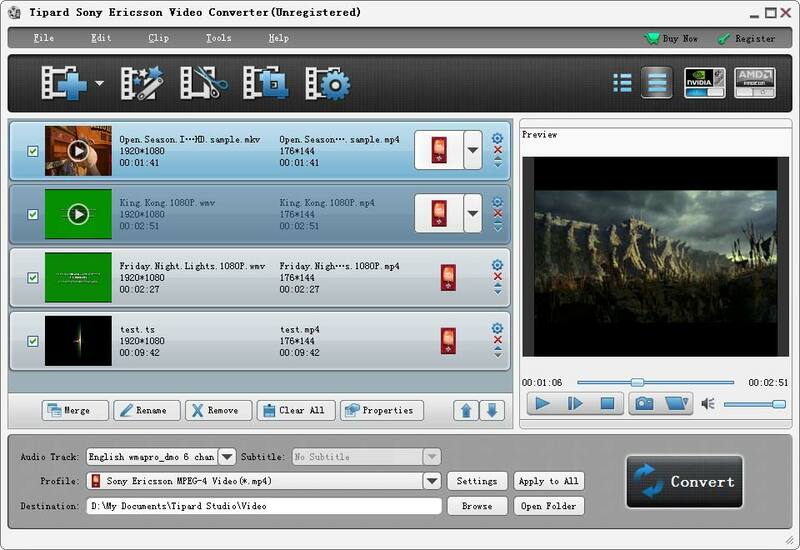 Using Tipard Sony Ericsson Video Converter, you can preview the original video and the instant output video for your operation at the same time. Just a few mouse clicks can finish the operation. And it is suitable for both beginners and advanced users. 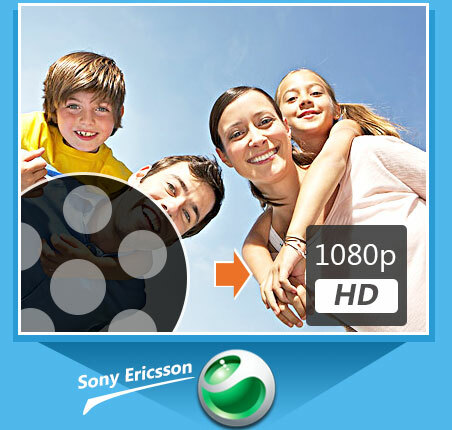 Tipard Sony Ericsson Video Converter allows you to add a text or picture watermark to video. Tipard Sony Ericsson Video Converter provides audio track and subtitle for you to adjust. HD Video Converter to convert HD video to general video format. 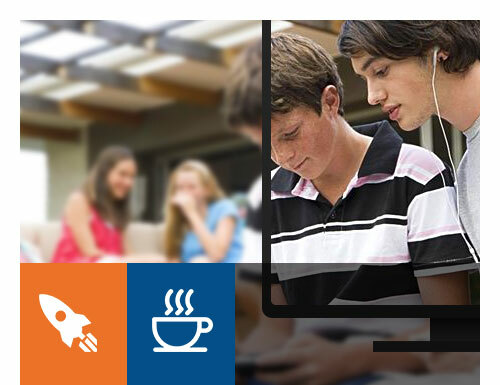 MP4 Video Converter, convert other video format to MP4 file.